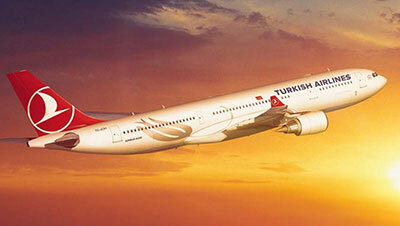 Headquartered in Istanbul, Turkish Airlines is Turkey's national flag airline. It is the largest carrier in the world offering flights to over 300 destinations in Europe, Africa, Asia, and the Americas. It offers daily flights from London Heathrow, London Gatwick, Manchester, Birmingham and Edinburgh to Ercan Airport via Turkey. 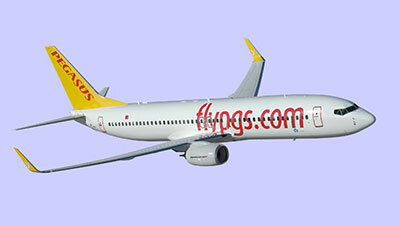 Headquartered in Istanbul, Pegasus Airlines is one of the low cost airlines offering domestic and international flights. It offers flights from London-Stansted and Berlin-Schoenfeld. 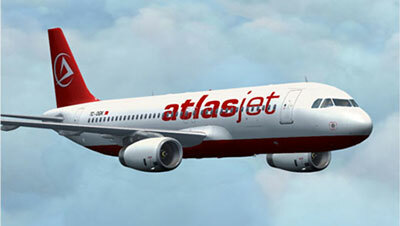 AtlasGlobal, formerly Atlasjet is a Turkish airline based in Istanbul. It offers scheduled domestic and international flights, as well as charter flights. It offers flights from London Luton via Turkey. Turkish Airlines, Pegasus Airlines and AtlasGlobal (atlasjet) have frequent scheduled and charter flights to Ercan international airport in Northern Cyprus from Turkey, UK and other European countries. Northern Cyprus has direct flights from Turkey only. All the flights from the UK and other European countries fly via Turkey. There are frequently scheduled and charter flights from Turkey to North Cyprus, from Istanbul, Ankara, Izmir, Antalya, Adana and Hatay. Simply use our flight search facility to compare all the available flights to Northern Cyprus and book easily. You can find regular scheduled and charter flights from the UK and other European countries to Ercan Airport, North Cyprus. There are flights from the UK to North Cyprus everyday. You can find flights from Stansted, Heathrow, Gatwick and Manchester throughout the year. And from Belfast and Glasgow only in the summer season. There are many duty free shops where you can find cheaper tobacco, alcohol, perfume and colognes, but bear in mind your maximum allowance. There are many cafes where you can have something to drink or eat while waiting for your flight.